Earn up to 10% OPER cash back. Join the only mobile payment platform that rewards its users and decreases credit card fees for merchants. You can also review your payment history and track your current rewards. You can even use OPER to EARN double or triple rewards! Receive your usual credit card points when you load your OPER account with your credit card. At the same time, continue using your favorite existing rewards program. Now that is triple rewards! 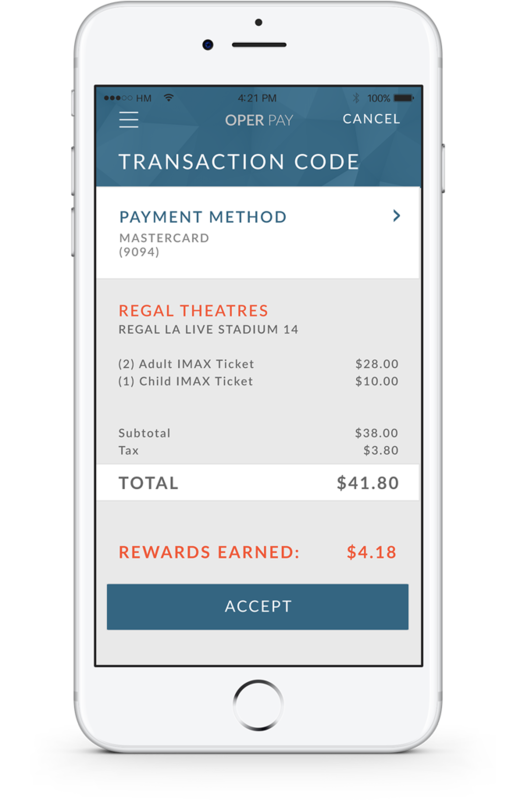 Download the OPER app and join the LARGEST and FASTEST growing mobile payment and rewards platform in the USA.